From rugged off-roading to sophisticated luxury 4x4s’, and everything in-between. Full comprehensive cover including Private, Full Business and Tour Operator Use, including full off road” application. 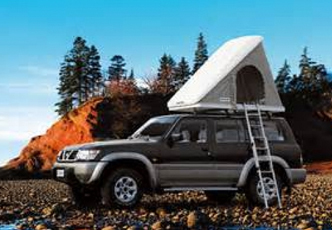 4x4’s & SUVs’, Camping Equipment, Caravans and trailers. Superbikes, Off-Road bikes, Quad-bikes, Mountain-bikes. From pleasure craft, yachts &jetskis’ to windsurfers & kite-surfer equipment. Racing risk included for off-road Dirt-bikes at MSA sanctioned events in South Africa. Repatriation following accident and breakdown beyond RSA. A PRODUCT especially designed for all cycling enthusiasts whether you are a recreational or professional cyclist. It covers all risks both in South Africa and internationally. All Risks for bicycle and accessories based on replacement value. Theft, hijacking, damage incurred in transit or whilst training. Damage incurred during international, national, provincial or club events, time trials or track events. Small craft, (with or without trailer) including yachts and Jetskis can be covered on a stand-alone basis. Territorial limits - RSA, Namibia, Malawi, Mozambique, Swaziland, Botswana, Lesotho, Zimbabwe, Kenya and Tanzania, to a distance of 50 nautical miles off shore. Settlement Basis: Within first 12 months of registration - new replacement basis including a 10% inflation contingency. Damage to machinery by flotsam is covered. Collision or impact with submerged objects is covered.